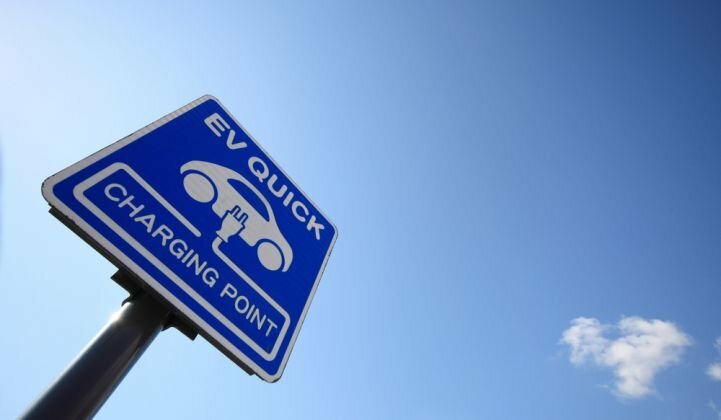 Oil companies are eyeing dramatic adoption of EVs. But car manufacturers aren’t planning for the same level of electrification. Oil producers and research organizations around the world are revising their electric-vehicle forecasts upward as improving battery costs challenge previous assumptions about growth. A new study from Bloomberg New Energy Finance shows just how dramatically estimates are changing. The most radical swing comes from OPEC, an organization made up of leading oil producing nations, which boosted its forecast of electric-vehicle sales by 500 percent compared to last year. OPEC isn't the only industry group revising its assumptions about growth. BNEF researchers cataloged a number of radical changes in projections. The International Energy Agency has more than doubled its estimate about global electric-vehicle sales. 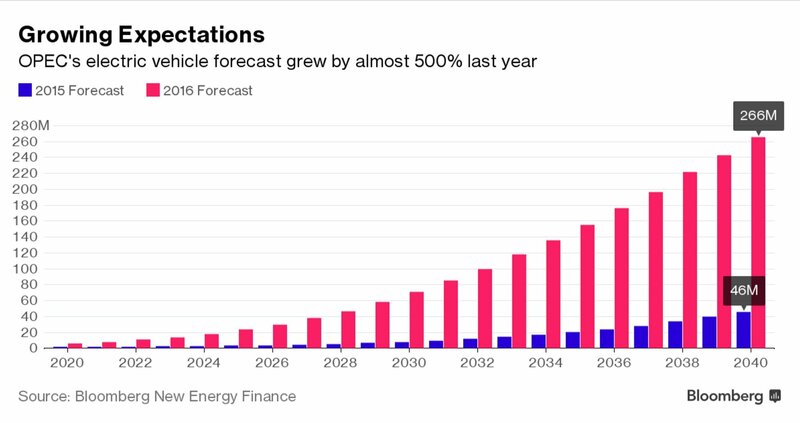 Meanwhile, Exxon, BP and Statoil are all now expecting at least 100 million electric vehicles to hit the roads worldwide between 2030 and 2035. BNEF's outlook is even more bullish. It projects that 530 million cumulative electric cars will be sold by 2040 -- representing about one-third of the market for automobiles. In the spring, Morgan Stanley issued an analysis predicting that electric cars would outpace gasoline-powered cars within two decades. The new outlook from oil majors is consistent with a recent analysis from Wood Mackenzie, the firm that owns GTM. According to Wood Mackenzie, electric-car sales will hit 100 million by 2035, stripping up to 2 million barrels of oil demand per day. In another analysis, Wood Mackenzie predicted that Tesla's Model 3 sales alone will slash U.S. gasoline demand by 300,000 barrels per day by that time. 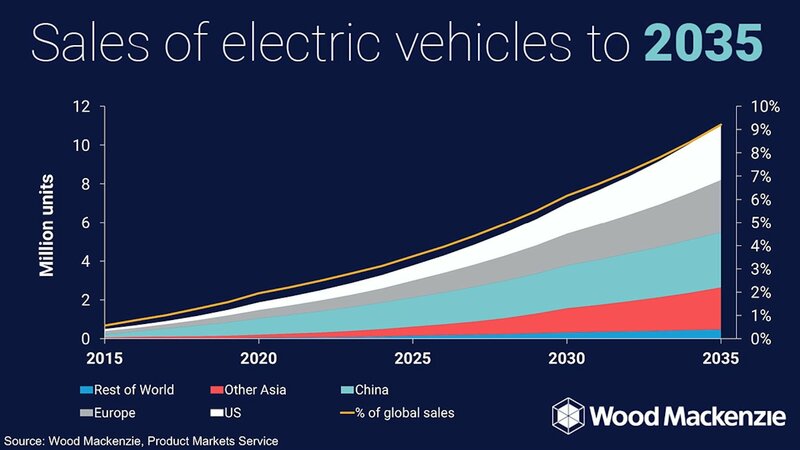 Under the most bullish scenario, Wood Mackenzie believes that electric cars could make up 85 percent of all new car sales by 2035. Why is everyone changing their forecasts all at once? For one main reason: battery costs. While policy and consumer behavior are difficult to predict, battery costs are coming down fast. 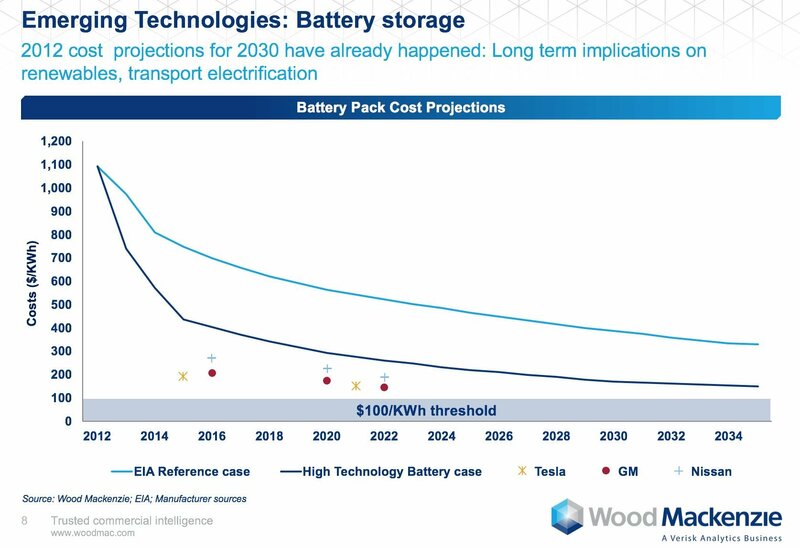 We're already ahead of lithium-ion battery costs projected for 2030. 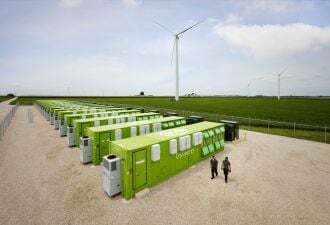 And with 10 battery gigafactories under development around the world, battery costs and prices are expected to further outpace projections. There's one group of companies that is far less optimistic about electric cars: automakers. According to BNEF, the world's biggest auto manufacturers are only planning to sell a combined 8 million electric cars per year by 2030. Per usual, Elon Musk is bucking the trend. Over the weekend, Musk offered up his own prediction about the growth of electric cars. “Probably in 10 years, more than a half of new vehicle production is electric in the United States. Half of all production will be EV, I think almost all cars produced will be autonomous," he said, speaking to members of the National Governors Association. A year or two ago, that might have sounded like a bold prediction. Today, it's pretty well in line with what leading analysts and oil companies believe.